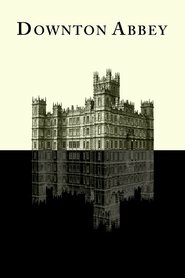 Living… in Downton Abbey, with her father, mother, and two older sisters, Mary and Edith. Unlike the rest of the family, Sybil doesn’t allow her aristocratic heritage to define her lifestyle. Instead, she tries to use her position of privilege to help the many servants who staff the estate. Interests… feminism and politics. Sybil’s involvement in civil rights tends to clash with her rather conservative and traditional father, but she is determined to pursue her passions: “I’m interested! I’m political! I have opinions!” In a family that is shocked by women wearing pants, her opinions are positively radical. Relationship Status… single. Sybil is the youngest daughter of three, so arrangements for her marriage aren’t a priority just yet. But she is a sweet, pretty girl, so Cora isn’t particularly anxious about her future. As long as she picks someone suitable to her station, her parents will be happy. That would certainly not include anyone who works for the family, in case anyone – like the Irish chauffeur Tom Branson, who shares her passion for politics – gets big ideas. Challenge… helping Gwen Dawson, the housemaid, become a secretary. Sybil is thrilled that her friend wants to make a better life for herself and offers to be a reference and confidant. But, it won’t be an easy journey. Women of Gwen’s humble background are lucky just to work in service and success seems unlikely. Personality… spirited and compassionate, Sybil is the rebel of the family. She’s less concerned with propriety than justice and she always fights for her beliefs. When she’s not battling on the political arena, she is sweet and friendly, taking time to get to know people of all stations. Sybil Crawley's popularity ranking on CharacTour is #1126 out of 5,000+ characters. See our top-ranked characters and read their profiles.